Dance has always been one of the overwhelming activities that our students like to participate in simply because dance and music do not have any boundaries or barriers for the students to completely express themselves freely. Metta School aims to promote dance as an Art form. We would also aim to expose this art to a greater number of students. 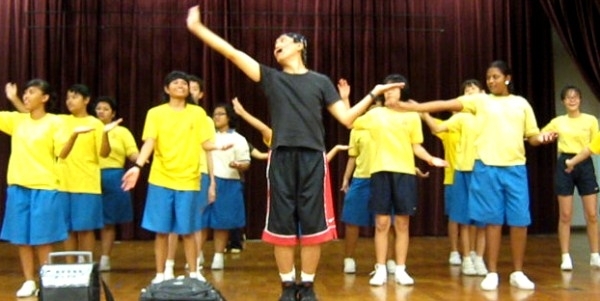 We would also like more students to experience dancing in support of the school’s goal to create a niche in the Arts. The school is very fortunate to have a good dance instructor and dedicated teachers to teach exhilarating dance movements to our students. The Metta Dance Group has performed annually, and in Metta Shine Night 2010, we performed to the hot hits of Lady Gaga, High School Musical, Abba (Dancing Queen), Bollywood music, etc.